When asked by CNN’s Pedro Pinto in an interview who the best player in the NBA is right now, the former MVP did not hesitate with his answer: “Derrick Rose.” The former Rookie of the Year has been recovering from the physical effects of a torn ACL in his left knee. 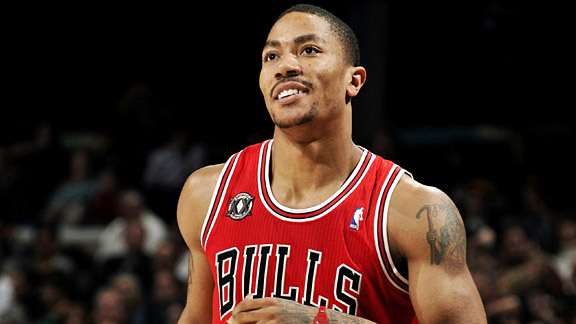 It has taken Rose more than a year to recover from the injury that occurred during the 2012 playoffs. Not only will he put the knee to a test but also back up his banter on being the best player in the NBA as his Chicago Bulls open the season (October 29) on the road against the reigning NBA MVP and champion LeBron James and the Miami Heat. That is just one of the many games I have circled on the calendar upon the release of the 2013-14 NBA schedule; here are other cannot miss games. Former Coach of the Year and NBA champion Doc Rivers will make his Hollywood debut with the Los Angeles Clippers down the hallway, opening night against the Dwight Howard-less Los Angeles Lakers. You may have to set your recorder, that same evening; Jason Kidd is scheduled to make his debut as head coach of the Brooklyn Nets. 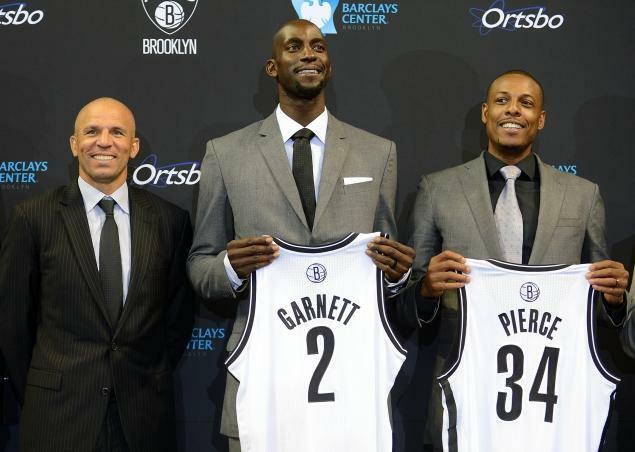 Kevin Garnett and Paul Pierce are scheduled to make their debuts also as members of the Nets under the first-year coach on the road against Kyrie Irving, 2013 No. 1 overall pick Anthony Bennett and the rest of the Cleveland Cavaliers. That is the date Paul Pierce and Kevin Garnett return to TD Bank Garden to play the Boston Celtics for the first time. This is a game where you gage the temperature, view how they will be received by ex-Celtic teammates, especially the floor general for the Cs; Rajon Rondo and the Celtic faithful. After leaving Hollywood and the Los Angeles Lakers in the offseason, Dwight Howard will make his Houston Rockets debut when they play host to the Charlotte Bobcats on October 30. Howard will face the Lakers for the first time on November 7 when the Rockets host L.A. I remember when I would view two NBA games on Christmas Day. For the sixth straight season, the NBA Christmas Day schedule again will include five games, starting with Chicago at Brooklyn (noon ET, ESPN). It continues with Oklahoma City at New York (2:30 p.m. ET, ABC), Miami at the Lakers (5 p.m. ET, ABC), Houston at San Antonio (8 p.m. ET, ESPN) and the Clippers at Golden State (10:30 p.m. ET, ESPN). This will mark the first time since 2008 that the defending NBA champions will be on the road for Christmas. Super Bowl XLVIII will be played at MetLife Stadium on February 2, 2014. So how do you make the NBA a part of the highest viewed sporting event moreover in the largest city market? Have NBA games played in the largest market in two of the most attractive venues during Super Bowl weekend. Brilliant. Friday, January 31st Kevin Durant and the Oklahoma City Thunder visit Paul Pierce, Kevin Garnett and the Nets at Barclays Center in Brooklyn, New York. 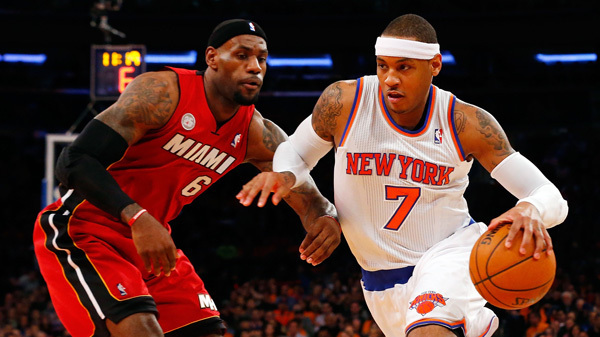 On the eve of Super Bowl Sunday, February 1st, the NBA champion Miami Heat visit the New York Knicks at 4 Pennsylvania Plaza; Madison Square Garden. The famous faces, VIP clientele and millions of fans from across the globe will be all part of a can’t-miss sporting event weekend. Super Bowl Sunday is the second-largest day for U.S. food consumption, after Thanksgiving Day. I can only imagine the food being consumed alone at all three sporting events that weekend in New York City.